Celebrating the beauty in the mess of mamahood. Since before E was born I knew that I wanted to create toys and accessories for her. I started when she was in the womb by knitting her a baby blanket. And I’ve talked about making toys. But what I really enjoy is just sitting down and whiling away some time making her headbands and hair clips. She’s a girly girl for sure, and loves seeing that I’ve made her something. These fabric rosettes I’m still getting good at (mine end up either flat or super tall). I sat down during a movie the other night and just made a small handful of them to add to a wreath for spring/summer. E really loves pretend flowers and when I asked if she wanted a headband made from some she enthusiastically said “Yes!”. 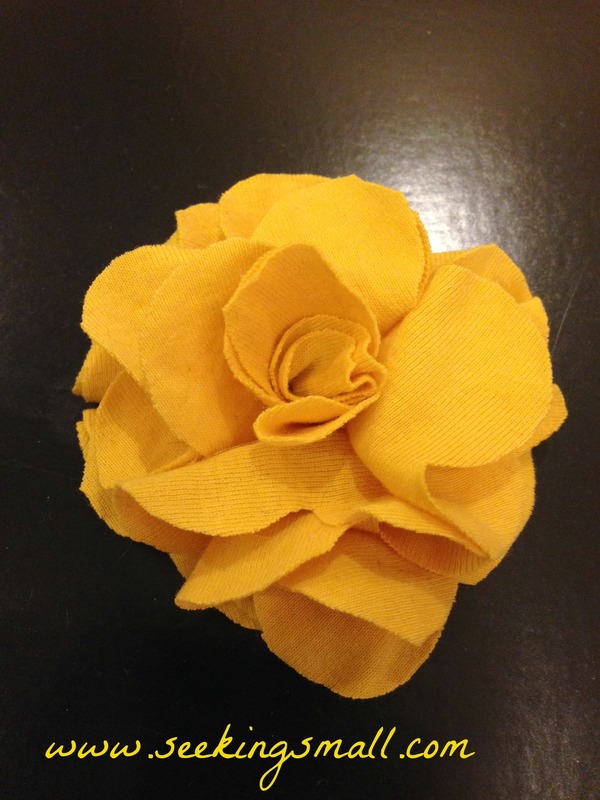 You can find tutorials for fabric rosettes all over the internet. I’ve had a friend explain it to me in person, and I’ve also checked out a tutorial or 10. 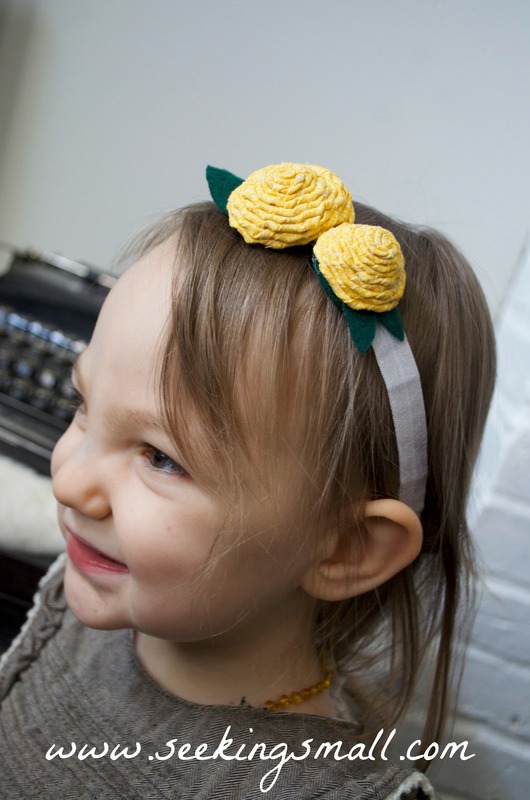 Add some felt leaves and some soft elastic (I buy from Elastic By The Yard or Etsy) and you have a simple headband. The big teal flower was made for E’s first birthday and family photos. I had an old nightgown on my grandmama’s that I knew just wasn’t for me, so I cut into it to create several of these headbands (because I need one and we’d love more girls!). It turned out so soft and beautiful I was quite pleased. Here’s a beautiful tutorial for how to make this type of flower, though I never bother using a template and just cut out wavy circles. For the felt headbands I just cut out some random wavy flower shapes, stacked them, added a button and attached to elastic. For the heart I was in the middle of making felt cookies and just simply used some extra felt, sewed a blanket stitch around the outside, sewed them together and attached to elastic. Easy peasy and one she was so excited for! I’ve also made some delightfully easy flower headbands from old t-shirts. This one doesn’t have an elastic added yet because I’m debating keeping it as a brooch for myself. It’s about 3 1/2-4 inches large. 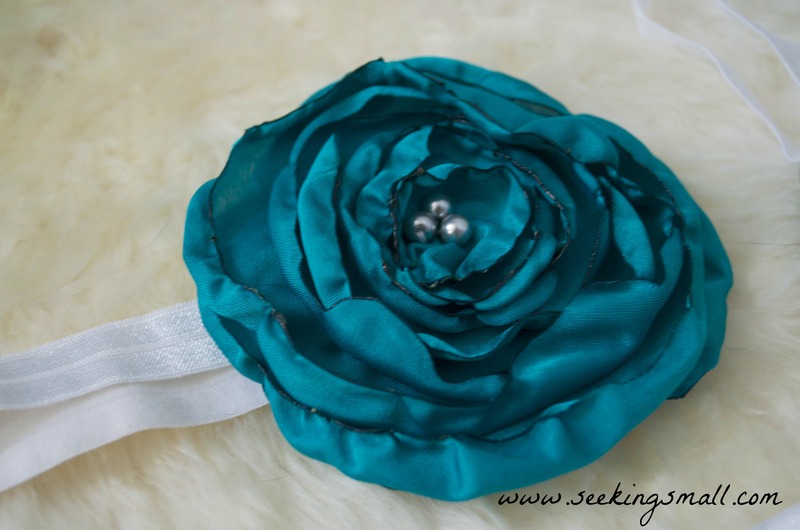 Making headbands are super easy and a cute way to dress up a simple outfit. And E is such a cute model for your handmade headbands. 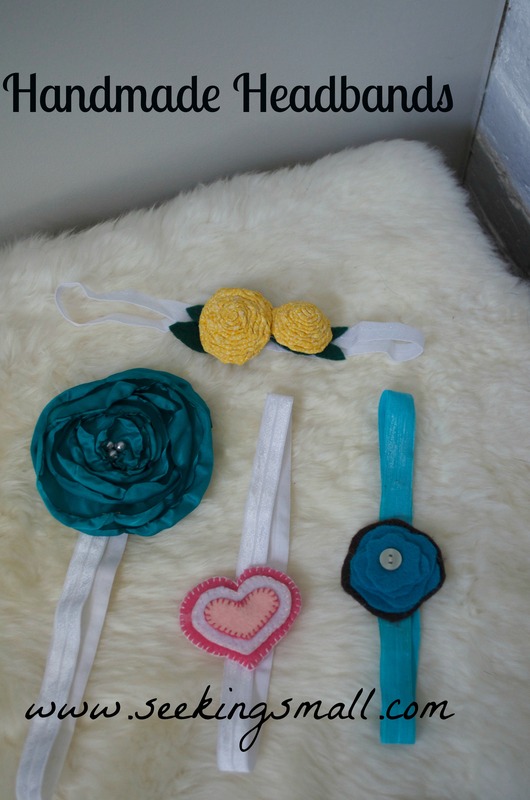 My sister has been making her own headbands for her little one like crazy too. You’re so crafty Kate! to rank in top 10. I know – buying them is too expensive.